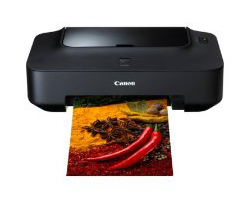 Trusted Reviews has tested the Canon PIXMA iP2702 inkjet photo printer. This Canon printer is able to make a 4” x 6” photo in about 55 seconds or so Canon claim. Let us hear what the reviewer got to say about this photo printer. Trusted Reviews ends up giving the Canon PIXMA iP2702 an overall score of 7 out of 10 points. The printer scores highest on print quality a bit lower on print speed and value while scoring lowest on features. The iP2702 is a good budget photo printer, but it has a few shortcomings like being very loud when printing, the prints are a bit expensive and you do not get that many features like more expensive printers. Read the full review of the Canon PIXMA iP2702 inkjet photo printer here.